J: It's Marvel, it's great. There's not much more to say! Not the greatest of all superheroes (if I had to have a superhero suit it'd definitely be Iron Man. Okay he can't shrink to ridiculously tiny proportions and still be as strong as a full sized man, but he can do anything and everything else!) but he's still pretty cool. Lead characters aside, the secondary characters are great. Especially his slightly hyperactive and overenthusiastic Hispanic chum! 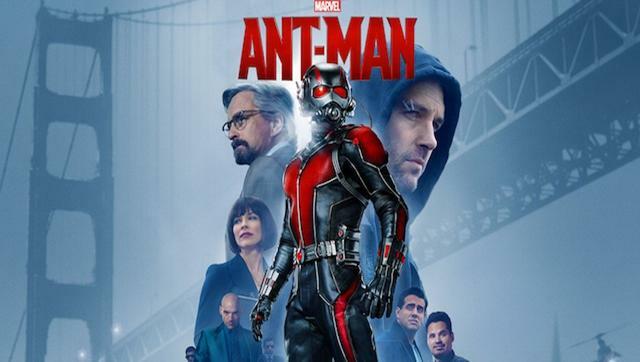 One issue I have with Ant-Man as a movie though is why end phase two with it? I'd have switched Ant-Man and Age of Ultron around. But what can you do! J: You can't beat a good Disney Pixar movie. Like, at all. Unless you're a Marvel film. Or Star Wars. Or Lord of the Rings. Look, the point is they're all up there! 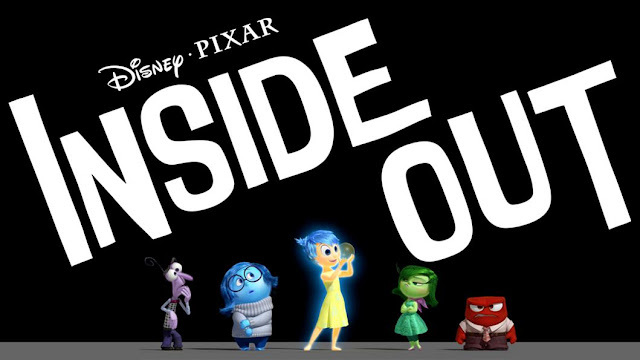 Inside Out is set primarily in a girls head, and you see how the characteristics of the five separate emotions clash and blend to make the one well rounded person. There's plenty to enjoy in this movie and it'll keep you chuckling away til the end. I also enjoyed it as Lauren is pretty much Sadness and Anger's love child. The fiery temperament and the classic we're-all-doomed attitude. Although there's also an element of Joy when she sees cats. L: If there's one thing we like just as much as Marvel films here, it's a Disney Pixar film so we certainly weren't going to pass up on this latest offering. I think Inside Out is a wonderful concept for a film, five personified emotions (fear, sadness, joy, disgust and anger) guiding you through life trying to create a happy balance in order for a person to maintain a good emotional state and a connection to things such as friends, family, hobbies and memories. On the surface, this is a lovely film for kids but deeper down it's enjoyable for adults too who understand more about growing up, letting go of things and changing as a person. I think Pixar are excellent at making films appeal to the whole family by creating something good for kids to watch but also something for adults to think about. I really enjoyed this film...and yes, I cried. But that's no surprise.